But what can we do for you? Landlords: because we were established in 1987, we are confident we will be able to look after your every need, from before the start of the tenancy to the end. This could be advice on the market appraisal, to finding you the best possible tenant, to ensuring you receive legal support and guidance throughout the tenancy from our ARLA qualified staff and finally to help with resolving the deposit and ensuring your property is in top condition when your tenants vacate. Tenants: We will find you the best, affordable and most well situated home you could hope for, assist you with all the troubles of moving into a new property and then provide you with excellent customer service throughout your time as a tenant with us. Simple. 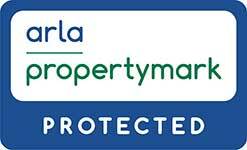 1650 properties are let under our management from our five branches throughout Gloucestershire.